The election was set for June 23, 1896. 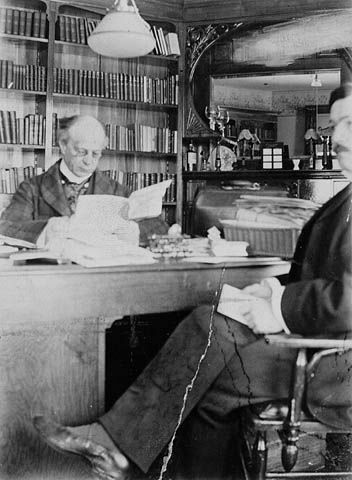 During the electoral period, Laurier intended to do everything in his power to bring his party to lead the country. He banked mostly on Ontario and Quebec to obtain an electoral majority. Drawing on recent events, his campaign was based on his abilities as a negotiator and representative of the entire nation of Canada. He won the election with a majority of 30 seats over Tupper’s Conservative Party. On June 23, 1896, Wilfrid Laurier became the first Francophone Prime Minister of Canada. In July, he named his first Council of Ministers with 17 members, including two Members of Parliament without portfolios. Laurier was first and foremost a pragmatic politician with a heightened sense of realism. He literally devoted himself to building this country. Although initially against the Canadian Confederation, as Prime Minister he worked to dispel the dissension and conflict that would impede the country’s development. Several historians have stated that Laurier was a politician who sought results; he was a man of action. Moreover, he was astute and purposeful. He preferred to defer decisions and actions rather than negatively affect or compromise himself. During his entire career, he played on this duality to lead the country to modernity.